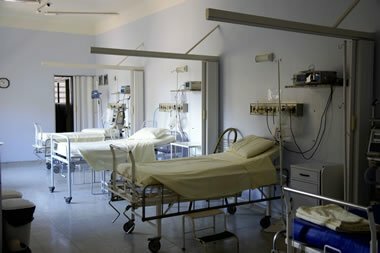 This article reports on a number of hospital acquired pseudomonas infections at a UK hospital, what happened and how the operators of the hospital dealt with the issues by improving safety processes. The East Kent Hospitals University Foundation Trust has taken steps to review the measures it uses to prevent infection spreading through its premises. The steps were confirmed after Pseudomonas aeruginosa was discovered as the cause of infection in a premature baby. The baby was being treated in the neonatal intensive care unit at William Harvey Hospital in Ashford, Kent, United Kingdom. Sadly, the baby later lost its life. However, the infection is not suspected as having caused its death. Skin swabs were completed on other babies within the same neonatal unit at the hospital. The swabs confirmed the presence of the pseudomonas on the skin of nine of them. They were subsequently treated with antibiotics to combat any potential infection that may have occurred. There was no sign of any of the babies suffering from Pseudomonas aeruginosa bacteria in their bloodstream. The case was reported by the Trust in October last year. This strain of pseudomonas requires mandatory reporting should it be discovered in an acute trust premises, as it was in this case. In any scenario where such bacteria are discovered, a deep clean of the unit or surroundings will be undertaken, as it was here. Furthermore, the processes in place for assessing the steps for preventing and controlling infection were followed and reviewed. Several steps were implemented in the hope that such instances would not reoccur in future. Unfortunately, it was not possible to ascertain how the baby had become infected, although it did appear to have occurred in the neonatal unit. The infection in this case was not confirmed as having caused the death of the baby, who was already very ill before the infection was contracted. Understanding how Pseudomonas aeruginosa bacteria can be spread is part of the process of preventing such spread in future. The bacteria can survive in water, which means any source of water could be a potential carrier of the bacteria. Moreover, it is possible for people to be infected without realising and to pass the bacteria to others. As such, an outbreak involving a Pseudomonas aeruginosa infection could occur quite quickly without anyone realising. Appropriate steps have been taken at William Harvey Hospital in Ashford, to ensure this does not occur again. Our Authorising Engineers (Water) and team of healthcare water safety specialists support those responsible for the control of waterborne pathogens including legionella and pseudomonas in the workplace, helping them to protect their people and meet their health and safety obligations in this specialist area. We are experienced in the role of Authorising Engineer (Water) and deliver professional water safety risk assessments for legionella, pseudomonas and other waterborne pathogens, water testing, independent compliance auditing, City & Guilds training and other environmental risk management services that help keep staff and others safe. If you have questions about any of the issues raised above or you would like to speak with one of our healthcare specialists please call us today on 0330 223 36 87 or contact us here. Do Biofilms Support Legionella Bacteria?